What the base commander’s secretary confessed. 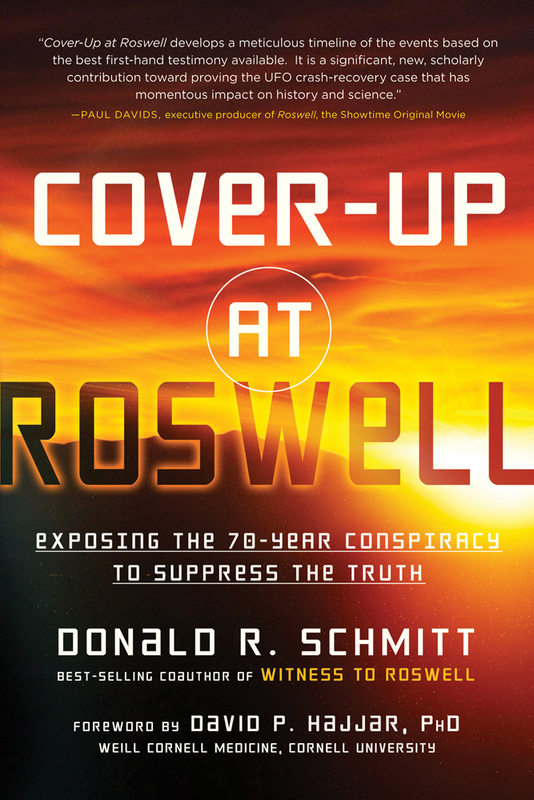 The Roswell “smoking gun,” provided by one of the very arbiters of the cover-up. Donald R. Schmitt is the former Director of Special Investigations for the J. Allen Hynek Center for UFO Studies in Chicago. He is a cofounder of the International UFO Museum and Research Center in Roswell, New Mexico, where he serves as an advisor to the board of directors. Don is a six-time best-selling coauthor. His most famous title, Witness to Roswell, was the top-selling UFO book in the world in 2007 and 2008. It has been optioned by Stellar Productions for the feature film Majic Men.